Discover why HELEN MILLS Event Space and Theater is N.Y.C.’s most unique event venue. Book your next event now! Good dates are available. Call us at 212-243-6200 to learn more. 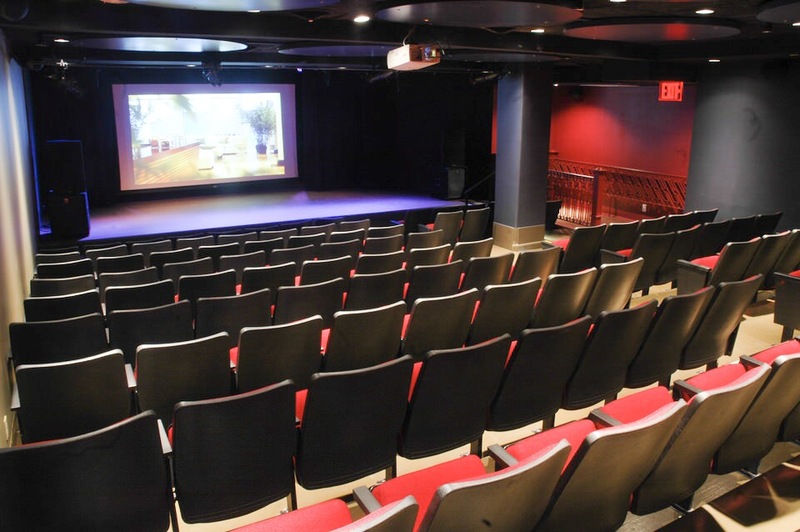 HELEN MILLS features a spectacular Event Space and a 140-seat Theater & Screening Room. Our Event Space can be transformed to fit any decor, aesthetic, or theme. 140-Seat Theater for screenings, meetings, Q&A’s, and more. We love hosting celebrations that are as unique as your child! Syracuse University hosted a theater-style presentation set up with cocktail reception all about innovation in education. BrownGirlsLove Power Day hosted a full day of inspiring panels, discussions, and workshops. A spectacular, street-level Event Space in the heart of New York City. Click the Event Space buttom below for capacities, venue features & amenities, and sample floor plans. 140-seat Theater perfect for meetings, screenings, and performances. Click the photo for venue features & amenities. Photos of past events and information about holding your next event at HELEN MILLS. From meetings to bar / bat mitzvahs to cocktail parties, we have you covered.